The American Society for Enology and Viticulture (ASEV) has selected the 2018 Best Papers, available for free at the American Journal of Enology and Viticulture (AJEV). Authors will be presenting their winning papers at the Society’s 69th National Conference on June 18-21 in Monterey, California. The 2018 Viticulture Best Paper is “Population Diversity of Grape Phylloxera in California and Evidence for Sexual Reproduction,” by Summaira Riaz, Karl T. Lund, Jeffrey Granett and M. Andrew Walker. The study had two objectives: (1) to determine the genetic diversity and relationships of both root and foliar phylloxera samples and (2) to understand the genetic origin of recent infestations of leaf-galling phylloxera. The researchers also evaluated if sexual reproduction contributed to genetic diversity. The study identified four Northern California populations of phylloxera, including a new foliar-feeding population. It also concluded that foliar populations were exclusively asexual and had a wide range of hosts. The three root-based populations suggested that strains were adapting to rootstock hosts, and interestingly, two possible examples of sexual reproduction were detected in these populations. The study’s findings may help predict outbreaks of new, more aggressive strains and help rootstock breeders better prepare to fight against them. For the 2018 Enology Best Paper, ASEV selected “Impact of Grape Maturity and Ethanol Concentration on Sensory Properties of Washington State Merlot Wines,” by Emma Sherman, David R. Greenwood, Silas G. Villas-Boâs, Hildegarde Heymann and James F. Harbertson. The group evaluated the impact of ripening on wine composition in Merlot grapes in Washington. Their experiment measured a long period of grape ripening where they decided to represent unripe fruit picked at 20 Brix, ripe fruit at 24 Brix and overripe fruit at 28 Brix. They waited 21 days for the fruit to ripen from 20 to 24 Brix and 37 days to ripen from 24 to 28 Brix. 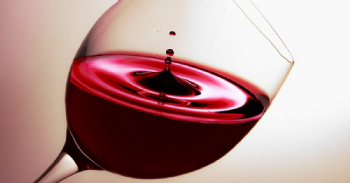 Since alcohol is recognized to impact tannin extraction and wine flavor, they controlled for alcohol in the experiment by either diluting or adding sugar to a portion of the must. They measured many aspects of how the grapes and wines were impacted by grape ripening, and while there were many significant effects observed, the most interesting results came from the sensory evaluation. Sensory tests were performed on the Merlot wines, and as expected, the wine made from unripe fruit had vegetable flavors and sour tastes, while wine made from overripe fruit was fruity and had a perception of sweetness. When they evaluated the impact of ethanol on wine, they found the alcohol concentration had a greater impact on the sensory profile of the wines than the fruit maturity. From a winemaker’s perspective, it has been thought that green character in fruit is reduced in wines from riper fruit as a result of changes during grape ripening. However, findings suggest that the green character may be reduced as a result of alcohol concentration rather than ripening and fruity flavors, which are not always suppressed by ethanol.